Siem Reap, in northwest Cambodia, is a home to the country's number one tourist attraction, Angkor, making it a popular starting and finishing point for cruises along the Mekong River. Cambodia was a French colony from 1863 to the mid-1950s, and this heritage is reflected in Siem Reap's colonial architecture, elegant tree-lined boulevards and bakeries selling French baguettes and pastries. The majority of cruise passengers arrive and depart at the city's airport and are transported by bus to and from the Mekong or Tonle Sap lake, which feeds into the river and is the embarkation point for some itineraries. Known as the gateway to Asia's ancient world, for decades Siem Reap has beckoned travelers eager to get a glimpse of 12th-century temples and incredible Buddhist complexes that have withstood the tests of time, weather and human interference. The most famous, Angkor Wat, beckons more than 2-million travelers a year to its sprawling temples and breathtaking landscapes. Frequently referred to as the "eighth wonder of the world," Angkor was the center of the ancient and mighty Khmer Empire, which once stretched from the Bay of Bengal to the South China Sea. Excursions are typically spread over one or two days and will include Angkor Wat, the world's largest religious monument (at its most atmospheric at sunrise and sunset), and other temples, such as mysterious Ta Prohm, discovered by 19th-century explorers in the midst of the jungle surrounding Siem Reap. Siem Reap is also home to an impressive collection of other palaces, temples and historic sights, many of which don't see as many tourists -- giving you a chance to truly get lost in Asia's intricate and complicated past. Beyond temples and sunrises, Siem Reap is growing rapidly to match the number of tourists flocking in -- with new luxury hotels popping up around the outskirts of the temples, new and varied restaurants and guest houses for more budget-conscious travelers. Plus, the town has a burgeoning art scene -- with artists, street performers and bands adding to the quirky vibe of the new Siem Reap. Other excursion options include "Senteurs d'Angkor," where local craftspeople make beautiful handcrafted soaps, candles and other gift items from local products. There's also a dinner show with traditional Apsara dances -- marked by elegant hand movements -- and the bustling night market, open until midnight, where it's fun to bargain for silk scarves, handicrafts and other souvenirs. Since ships don't actually dock in Siem Reap -- they dock nearby -- passengers are transported to and from the ship via ferry. The ferry arrives at Chong Khneas near Phnom Krom, 12 kilometers south of Siem Reap. There is always transportation waiting at the dock. Mototaxis charge about $2 to $3 and cars $6 to $7 for the 20- to 30-minute ride into town. In addition, daily ferries navigate from Phnom Penh and Siem Reap and often take a few hours. Because of Siem Reap's interior, no cruise ships are able to dock anywhere near the city. In order to get there, visits to Siem Reap are often included as a land tour before embarking on a Mekong River Cruise or as part of a mid-cruise overnight land excursion on Southeast Asia cruises. For Viking river cruises, two nights at the Sofitel is included in the price of the cruise, and the shore excursions depart every morning from the lobby of the hotel. In addition, some ships offer day trips to Siem Reap from Phnom Penh; however, because the trip can take up to six hours, they depart very early (around 4 a.m. to 5 a.m.) and don't arrive back to the ship dock in Phnom Penh until well after midnight. Like most Southeast Asian countries, the poverty of Siem Reap is hard to ignore and children begging for money or food might approach you. As a rule, never give money to children (it only perpetuates their poverty and keeps them further out of schooling). If you want to give them something, purchase fruit, bread or snacks from a local market and give them that instead of any money. In addition, the motorbike drivers can be rather aggressive on the roads, so always look both ways (often more than once) before crossing the road. As a rule of thumb, walking slowly across the road is the best bet as the motorbikes will weave around you. If you run, they're more likely to hit you or slam on their brakes to avoid you, causing a larger accident behind you. Another thing to watch for is pickpockets in the temple complexes (especially Angkor Wat). Many of them are very sly and can easily take wallets, phones and even cameras from your pockets or your hand. Avoid losing anything important by keeping your valuables out of your pocket and your camera wrapped around your neck. On Foot: Although you're able to walk to and from most of Siem Reap's restaurants and main attractions (like the circus and temple complexes) from most of the city's main hotels, it's not advisable, unless you're with a guide or know exactly where you're heading. At night, it can be harder for the drivers to see people on the side of the road, so strolling can be a little dangerous. By Tuk Tuk: One of the easiest and most affordable ways to get around Siem Reap is on a tuk tuk -- a motorized or cycle-driven pedicab that seats up to four people. The rides vary in price, but often only cost $3 to $10, depending on where you're going. In addition to affordability, these are the most reliable and safest modes of transport in the city. If you're staying at a hotel, have the concierge call a tuk tuk for you and negotiate a rate so you can ensure you're paying the best price. By Motorbike: If you're staying in town for a few days, renting a motorbike might be the way to go in terms of getting around, with most of the residents in Siem Reap owning a motorbike for that purpose. If you've never driven a motorcycle before, opt for a scooter instead of a bike, as they don't require any additional knowledge to operate. Make sure you're renting from a licensed dealer and always rent or buy a helmet beforehand. To be safe, ask about insurance or add a motorbike to your existing travel insurance policy in case you're in an accident. By Bike: Thanks to Siem Reap's pancake-flat countryside and assortment of temples speckled throughout, seeing the city is almost best done by bicycle. The Angkor Wat temple complex is only about 7 kilometers from the center of town, so renting a bike (which can be done at a few different outfitters throughout the city or can be borrowed through many of the high-end hotels) is one of the best ways to get there. Plus, you're able to stop along the way to snap as many photos as you'd like without worrying about holding up the coach or taxi driver. Cambodia's currency is the riel (for the latest exchange rate, visit www.oanda.com or www.xe.com), but most vendors, restaurants, hotels and even the temple complexes take (and prefer) U.S. dollars. Also, bring ample small bills, which come in handy for tipping, buying water and tuk tuk or taxi rides. It's advised to bring enough money to get you through your stay ahead of time (as ATMs are often out of order or not government mandated); however, there are still banks available if you need to safely withdraw money. 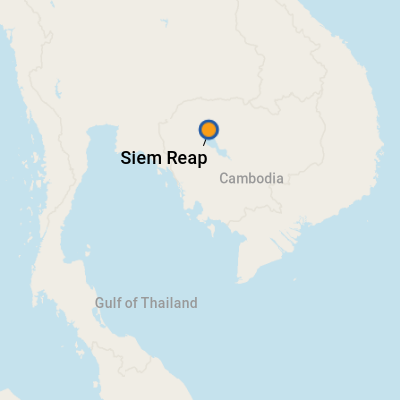 The traditional dialect of Siem Reap (and most of Cambodia) is Khmer, an interesting language that blends the influence of Sanskrit and Pali, as well as dialects from the neighboring countries of Lao, Vietnam and Thailand. Although most tour guides, hotel employees and temple workers do speak conversational English, it's best to learn a few key words in Khmer as the level of English varies by person. Not quite as distinct (or world renown) as Vietnamese cuisine, Cambodian fare does have a certain flair of its own. A blend of different cultural influences, from Vietnam to Thailand to Chinese to Indian, the food is both exotic and plain, boasting simple flavors in unique packages. Their most famous bites (like their super pungent fermented fish paste, fried tarantulas and crispy crickets) are probably the least appealing, and a venture into the downtown markets will quickly disrupt any notions that bugs and foul fish are all the kingdom has to offer. Due to the location on one of Asia's largest rivers, seafood is very prevalent around Cambodia, and you'll find it in everything from the breakfast soups to crispy, deep-fried cakes (that slightly resemble hash browns). Cambodian fare is far more moderate when it comes to seasoning, with just a small hint of spice in their creamy coconut fish entrees or their fried vermicelli dishes tossed with chicken or tofu. If you prefer a little heat, ask for a side of chilies to give your dish an added kick. Their sweet treats are made entirely of local ingredients, like sweet palm sugar and pumpkin candies, red dates, creamy coconut milk milkshakes or lemongrass-infused ice creams. Cambodia has some of the region's best (and strongest) coffee, so you'd be remiss not to order a few espressos (from the market) to fuel the rest of your temple hunting. They're also known for their locally brewed beer and spirits (like their infused rice wine), so if you can, grab a libation at lunch (we love the Angkor Beer). Marum: For an authentic dinner that serves a purpose, head to Marum, a hospitality training restaurant that trains underprivileged Cambodian youth (the parent company, Tree of Life, also has sister restaurants in Laos, Addis Ababa, Bagan (Myanmar) and Phnom Penh. The restaurant, which is run by Friends-International and partnered with local NGO Kaliyan Mith, sits in a stunning wood-paneled mansion flanked by lush trees decorated with string lights that elegantly hang over the outdoor dining room tables. The menu is served tapas style, so be sure to order plenty to share. The fresh rice paper rolls with goat cheese, grilled peppers and tamarind chili dip are a great starter for spice lovers, while the prawn, mango and cashew nut stir fry and the slow-cooked Khmer-style pork ribs with apple and radish salad are some of the student's favorites. For a more unique bite (that also comes with a high stamp of approval from the students in training), opt for the spicy red tree ants with beef, kaffir lime and chili stir fry (they are mouth-watering, trust us). Siem Reap's main markets offer an eclectic variety of unique souvenirs to take home. Most younger tourists inevitably leave with at least two pairs of stretchy elephant pants (sold at almost any market stall), sarongs and soft-as-silk handmade scarves. For something distinctively Cambodian, pick up a bamboo farm hat, which resembles almost an old-fashioned bowler (an entirely different shape than Vietnam's famous rice field hats). The temple shops and the markets are also a good place to pick up local artwork and photographs of the infamous Angkor Wat silhouette flanked by the morning sunrise or oil paintings of monks walking to and from the temples. 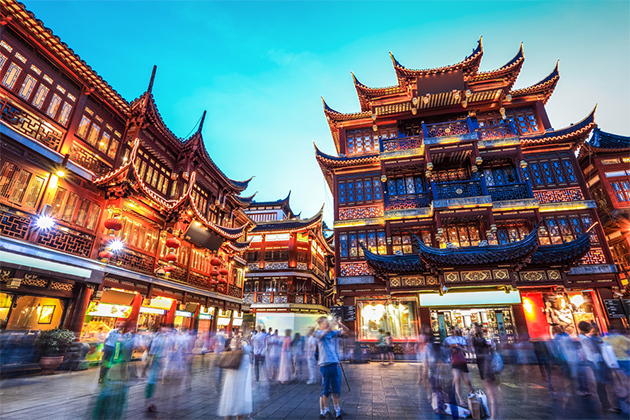 Many also leave with a variety of plates, trays, paintings or cups made from lacquerware (the best vendor is Eric Stocker), which is actually produced from the Chinese lacquer tree's sap. For a quick buzz, sample Cambodia's famed rice wine, known as sraa in Khmer, which is often described as rocket fuel due to its overwhelming potency. To sample different flavors of the strong wine, head to a Sombai shop to taste the libation infused with coffee beans, ginger, coconut and pineapple. If you'd rather sip on something a little lighter, try the local brew, known as Angkor Beer.